Please let my dancers and parents travel safely and on time to the hotel. Please let the hotel be clean and free of visiting boys sports teams. I pray for no midnight phone calls from security or parents, no early morning fire alarms and that my wake up call arrives on time. Please let the venue have ample parking and an area to unload props. And a few strong men who are willing to carry props to backstage. May the door guard be understanding that I will be at this event for 14 hours and yes, I understand there is no food or drink in the auditorium but I may kill someone without this coffee. Please let the competition staff be friendly and organized. May the event run on time and in order, and backstage be free of chaos. May the other teams and their parents be as polite as my students and realize that everyone is there to do their best. May the dressing rooms be well-lit and without windows and not more than one flight of stairs up or down from the stage. May my male dancer receive a dressing space that isn’t the men’s bathroom. Please let my CDs work without issue. May the sound guy (or girl) play them at an appropriate volume and not start the music until the dancers have taken their places. May there be floor microphones so my tappers’ sounds are not lost in the music. May the stage be an actual stage with an even and non-slippery surface. Let there be no dances immediately before mine that litter the stage with powder, paint, excessive glitter or feathers. May wigs stay on and shoes stay tied. May tights stay intact and straps secure. Please let quick changes be swift and easy, may parents fingers be nimble with hair and deft with make-up. May there be no arguments between mother and daughter. Let each dancer have an abundance of safety pins, bobby pins and hair spray and that we receive no comments suggesting that we “spray down those fly-aways” or “the dancers should really pin those straps”. May there be no need for the ice pack, ace bandage, knee brace or extra costume accessories I brought. Let feet be stretched and arms be sharp. Let lines be straight and spacing even. May formation changes be clean and smooth. May my dances be more powerful on a large stage than they were in the studio. Let my dances perform better than they did at dress rehearsal. Please let the judges be fair and impartial, with insightful comments and words of advice. Let the competition hold true to its decree that it takes off points for inappropriate costuming and song choices and I pray that the awards reflect this. May my team act like a team and be supportive of each other and share in each other’s victories. Let the memories they are making be of performing and friendship and not the size of the trophy they won. 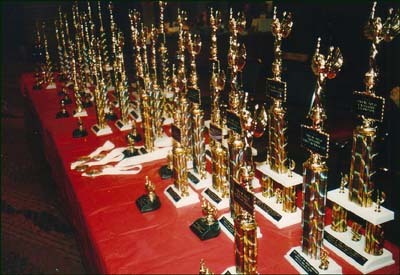 Let them know that their value as a dancer is not determined by the awards at the end of the day. And most of all, let my students dance. Let them perform to their fullest, enjoy their time on stage and feel accomplished at the end of the day. This post was in response to “A Dance Mom’s Prayer for Competition Day” over at Your Daily Dance.